DAVID LE/Staff photo. 5/6/15. 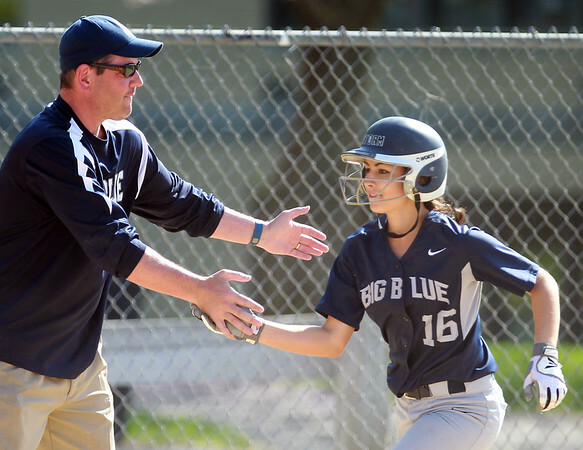 Swampscott's Christina King gets a high five and a pat on the back from her coach as she rounds third base after launching a grand slam to give the Big Blue a 5-0 lead over Danvers.